Bell Tower Shops, Southwest Florida’s dog-friendly shopping, dining and entertainment destination, will incorporate America’s pastime into its always-entertaining Yappy Hour event on April 13. The theme for April is “Take me out to the mall game,” and dogs can participate in a lively baseball-themed costume contest (but don’t expect anyone to buy them some peanuts and Cracker Jack). The cost to participate is a $5 donation to the Gulf Coast Humane Society, and one lucky dog will earn the title of MVP (Most Valuable Pooch) and win tickets to see the Fort Myers Miracle, which are offering five “Bark in the Park” dog-friendly events this season at Hammond Stadium. Held on the second Friday of each month, Yappy Hour is the area’s largest pet-friendly social hour, providing an evening of fun for pet lovers and their four-legged friends. To learn more about the event, visit www.thebelltowershops.com or www.facebook.com/BellTowerShops/. Gulf Coast Humane Society is a regional organization dedicated to helping companion pets find their forever homes, no matter how long it takes. GCHS provides an adoption center, spay-neuter and veterinary clinic, as well as education and awareness to the public about the welfare of homeless pets. GCHS’ mission is to care for companion pets in need by offering safe refuge, providing medical care and facilitating adoptions. GCHS promotes the concept the “Adopt, Don’t Shop” and help educate the community about proper and responsible animal care, while providing quality, affordable veterinary care. 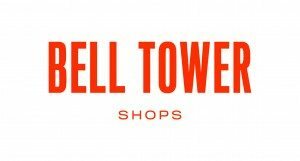 Bell Tower Shops is a landmark shopping, dining and entertainment destination centrally located in Fort Myers, Florida. The open-air center offers fine retail shops including eclectic boutiques and shopping favorites Williams-Sonoma, Chico’s, White House | Black Market, Victoria’s Secret, Pink and Talbots. Exceptional shopping is complemented by distinctive restaurants: Bistro 41, Cru, DaRuMa Japanese Steak House, Grimaldi’s Pizzeria, Blue Pointe Oyster Bar & Seafood Grill, Cantina Laredo, Mimi’s Café, T.G.I. Friday’s and Society. In addition to The Fresh Market, Bed Bath & Beyond and a 20-screen Regal Cinema complex, Bell Tower Shops is home to exceptional specialty retailers and restaurants including Society, World of Beer, White House | Black Market, Francesca’s Collection, Ulta and Williams-Sonoma. A community partner and pet-friendly destination, Bell Tower Shops hosts special events throughout the year, including concerts, fundraisers, art fairs and more. Visit www.thebelltowershops.com for more information. Madison Marquette is a leading private real estate investment manager, developer, operator and service provider headquartered in Washington, D.C. Founded in 1992, the company’s reputation is built on the successful development, repositioning and redevelopment of commercial mixed-use assets in major gateway and emerging high-growth markets throughout the United States. Madison Marquette partners with global institutional and private investors to achieve industry-leading investment performance across asset classes. In addition, the firm provides integrated management and leasing services to many of the most sophisticated institutional owners in the industry. On behalf of owners and investors, Madison Marquette provides insight, and often innovative incorporation of retail, that results in high-performing and unique real estate destinations that add long-term value to their communities. Current high-profile projects include The Wharf in Washington, D.C., the redevelopment of the Asbury Park waterfront in New Jersey and Pacific Place in Seattle, WA. The firm covers major U.S. markets through its primary offices in Washington, D.C., New York, San Francisco, Los Angeles, Seattle and Fort Lauderdale. Madison Marquette is a member of the Capital Guidance global group of companies. For more information, visit www.MadisonMarquette.com.